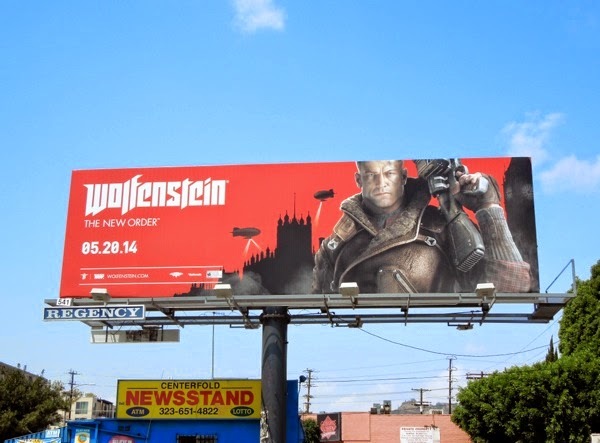 In the world of outdoor advertising variety is the spice of life, and amongst all the Summer season fashion, blockbuster movie and Emmy Consideration TV billboards it's always refreshing to see something different, like these striking ads for the latest installment in the Wolfenstein video game franchise. 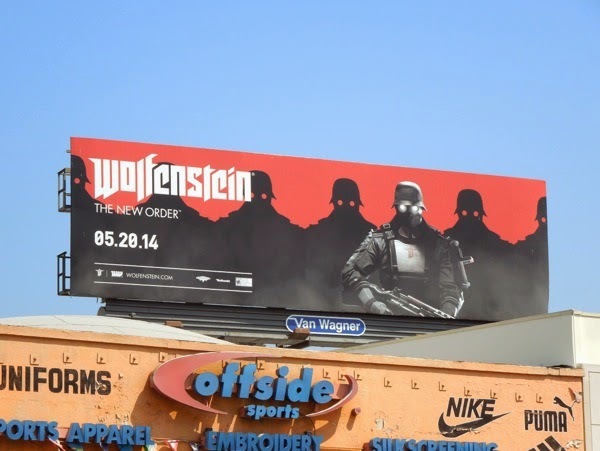 Wolfenstein: The New Order is a first-person shooter game where you play agent 'William "B. J." 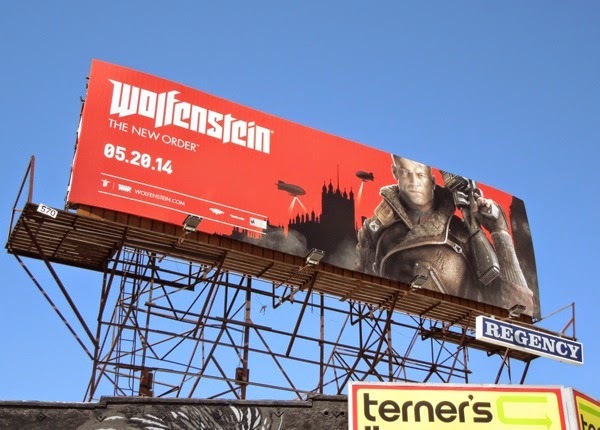 Blazkowicz', who is tasked with taking down the Nazis in an alternate 1960's Europe where they won World War II. 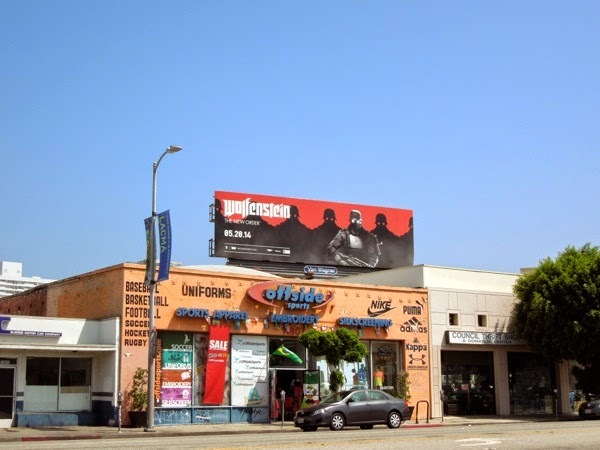 The 'hero' creative with the blimps flying in the background were spotted along Sunset Boulevard and Fairfax Avenue on May 7, whilst the 'Nazi soldier silhouette' version was spied along Santa Monica Boulevard in West L.A. on May 27, 2014. 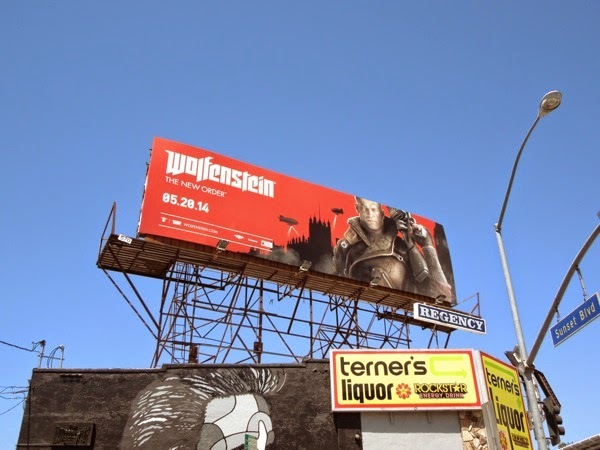 If you're a gamer and like these ads, be sure to also check out these other video game billboards which have filled the skies of L.A. in the past.